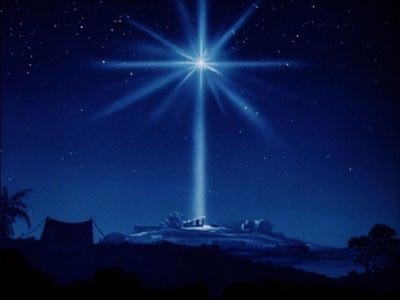 Tonight there is a crack in the Universe – that is first noticed in Nazareth as an angel appears to a young girl – then the crack leads a starry trail to Bethlehem that starts to attract attention from far away, in the learned scientific halls of astronomers and also closer to home in the palaces of ruthless power. But notice how the truly powerful one – the creator of the universe – chooses to visit us – on the edge of things, in poverty, in simplicity, far from corridors of political intrigue, far from halls of great learning. It is in the emergency shelter of a stable that this child-God begins to open a space in the world in which God’s healing love can work. This space – the stable in Bethlehem – will soon grow into a new sanctuary – and will spread around the world – overtaking nearly half of the world’s population. From here the faith of 2 and half billion people is born, from this temporary shelter, great cathedrals will arise all over the world, this humble beginning will inspire great works of art, literature and breathtaking beauty. But tonight is about going back to those humble beginnings in Bethlehem – and one thing I ask that you do over the next days and weeks – is to gaze upon that image of the stable, to ponder how it all started – the vulnerability, the tenderness…… A modern translation of St Ignatius’ Spiritual Exercises asks us to enter into the deep down stillness of this night – to see Him with all the wonder that comes from the eyes of faith . We can do that beautifully in front of the crib ……. Gazing at the figures ……… enter into the deep down stillness of this night – to see Him with all the wonder that comes from the Eyes of faith . In a few moments of stillness and silence …… watch the brave Girl who said yes to God, even though to be pregnant out of wedlock was a great shame and often meant you would be stoned to death or thrown down a well …… ponder on the courage of Mary….. and then the quiet support of Joseph, that decent man who instead of abandoning Mary listened to the angel in a dream and stood by her, his faith overcoming his pride, his compassion overcoming his male ego. As we watch them caring for each other – allow that tenderness to seep into your soul, and then that tenderness will lead you to ponder the vulnerable, baby Jesus, dependent on their care – the man who will command the waves to be still, who cures so many people, who raises Lazarus from the dead…. 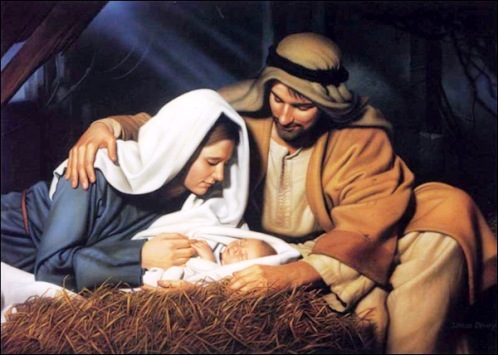 As a helpless baby – The Son of God born into this world. Some time over the next few days, take a little time out from the feasting, the telly, the computer, prize your eyes away from your smart phone and contemplate that image from Bethlehem……. What we spend our time looking at affects us deeply – how we thing about the world – how think about our selves. So be careful what you are looking at – notice if it doesn’t increase your faith , or your hope or your love it is probably slowly having a poisonous effect…. Take time away from all of that and spend some time gazing with wonder at the nativity scene – The church is open all day during the holiday period – when you gaze at the crib – what you find there is the image of pure Love – a love that is strong that as St Paul said it emptied itself, by taking the form of a servant so as to be born as a human….. the longer you Gaze on that – that love will slowly penetrate your heart …. And you won’t feel inadequate or unhappy but your heart will fill with wonder…..
Thankyou Tim for this good spiritual advice. Also for the sound practical advice. Great stuff. Tough to do. David J Kenney.